A newly renovated historic inn, located in Hustler, Wisconsin. A traveler's haven in a quiet historic town, set amidst rolling hills and beautiful bluffs. Select from eight unique guest rooms, each reflecting the cultural ambiance of travel, art, music and literature. 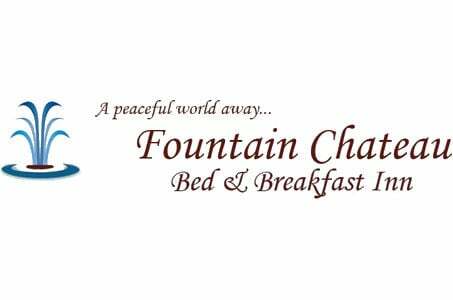 Take time to refresh ...Come to the Fountain Chateau! Paved Biking Trails, Canoeing, Kayaking, Boating, Hiking, Groomed Snowmobile Trails... and beautiful spaces to renew your spirit! "We thoroughly enjoyed our stay at this beautiful inn... the food was great and the atmosphere charming." A natural vacationland, Hustler has something for anglers, bikers, cyclists, canoeists, cross country skiers and snowmobilers. Enjoy acres of parks, trails, abundant wildlife, river streams and lakes. Located in Juneau County on County Trunk "A," the village of Hustler is a quiet, safe and friendly community, with historic roots. Founded in the early 1870's, a list of potential names was presented to the villagers who ultimately chose the name as it was the only name not already taken. With the growth of the railroad and the rerouting of HW 12 through the village between 1926 and 1931, good times came to the community. This beautiful trail was originally the Omaha Railroad. 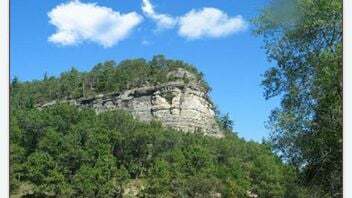 The bike trail connects right next door to the Fountain chateau B&B, where you can take a walk or a bike ride all the way to the Elroy and the world-famous Elroy Sparta Trail and the 400 State Park Trail. Whether you are a serious cyclist or someone who enjoys a leisurely pace, ride on a secluded trail, you will love this 12 mile, seal-coated bike trail that features an 875' tunnel. Snowmobiling: The Omaha Bike Trail is open from mid-December to mid March, with Camp Douglas as the trailhead. The county-owned and maintained Trail connects from Hustler to Elroy. 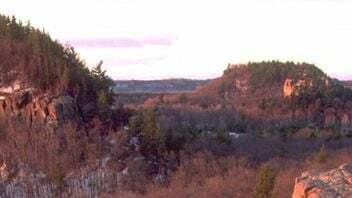 Wisconsin Dells: Conveniently located just 30 minutes away makes Hustler an ideal vacation spot giving you access to the Dells, but also providing tranquility. New Lisbon-Camp Douglas: Take a short journey from the Fountain Chateau to enjoy this diverse area ranging from the peacefulness of the Lemonwier River to the thunder of fighter jets flying over Volk Field.